Fans in Sydney, N.S., will be treated to a world-class field of teams when the 2019 Scotties Tournament of Hearts gets underway on Feb. 16 at Centre 200. 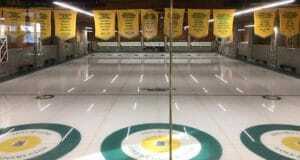 Provincial and territorial playdowns wrapped up this past weekend, and we know 15 of the 16 teams who will be chasing the Canadian Women’s Curling Championship in Sydney, including a collection of Olympic, World and former Canadian champions. The field is headed by defending champion Jennifer Jones and her team from Winnipeg — vice-skip Kaitlyn Lawes, second Jocelyn Peterman, lead Dawn McEwen, alternate Jill Officer and coach Viktor Kjäll. Jones will be attempting to win her record seventh Scotties championship; she currently is tied at six with Nova Scotia’s Colleen Jones. But Jones will be pushed hard by 2017 champion Rachel Homan of Ottawa, who along with vice-skip Emma Miskew, second Joanne Courtney, lead Lisa Weagle and coach Marcel Rocque captured the Ontario women’s championship on Saturday night in Elmira to pad her lead in the 2018-19 CTRS standings. As well, 2016 Scotties champ Chelsea Carey has returned, albeit with a new team from Calgary that features vice-skip Sarah Wilkes, second Dana Ferguson, lead Rachel Brown and coach Dan Carey. Meanwhile, Nova Scotia fans will have an experienced team to cheer for as Jill Brothers will be playing in her fourth Scotties, and will be bringing even more experience with her to Sydney as five-time Scotties champ Kim Kelly — Colleen Jones’s longtime teammate — will be the Nova Scotia alternate. The Bluenosers will have some intriguing early matchups, including an opening-draw showdown against Scotties rookie Sarah Wark and her B.C. team on Feb. 16 at 2:30 p.m. (all times Atlantic). 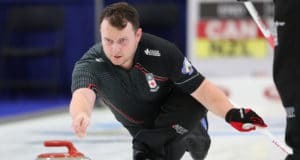 Nova Scotia then has a huge pair of Sunday assignments — the morning draw at 9:30 a.m. against Alberta’s Carey foursome, followed by a Sunday night (7 p.m.) clash with Homan’s Ontario powerhouse. The 16th and final qualifier will be decided on Friday, Feb. 15, as the Wild Card game (7:30 p.m. AT, TSN/RDS2) at Centre 200 will feature the top two non-qualified teams from the Canadian Team Ranking System (CTRS) — Kerri Einarson’s team from Gimli, Man., and Team Casey Scheidegger from Lethbridge, Alta. Admission is free, but donations to the Curling Canada Foundation, helping youth curling across Canada, are being accepted at the door. And it’s an intriguing Wild Card matchup, to say the least. Einarson was in the same position one year ago at Penticton, B.C. — she beat Carey in the Wild Card Game and made it all the way to the Scotties final before losing to Jones. 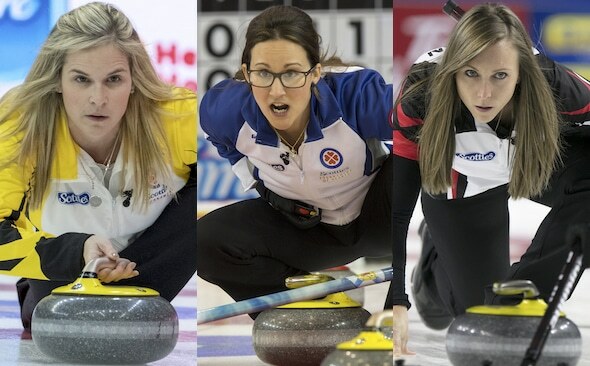 But that was with a different team, and her former teammates — Selena Njegovan, Liz Fyfe and Kristin MacCuish — already are in the 2019 Scotties field as Manitoba champs with their new skip Tracy Fleury. Meanwhile, Team Scheidegger wore Alberta colours at the 2018 Scotties and finished a very respectable fifth. The play-in-game winner will be known as Team Wild Card during the Scotties. The pools are set based on the teams’ position on the CTRS as of today; the winner of the Wild Card game will automatically have a No. 3 seed. CLICK HERE to check the schedule for the 2019 Scotties Tournament of Hearts. You can purchase tickets at the Centre 200 box office, online at curling.ca/tickets or by phone at 902-564-2200. TSN/RDS2 will provide complete coverage of every draw at the 2019 Scotties Tournament of Hearts. CLICK HERE for the complete broadcast schedule. 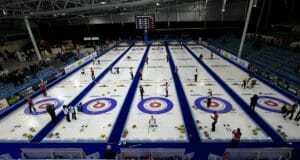 Next: 2020 World Women’s Curling Championship to be played in Prince George, B.C.